It’s that time of the year again when manufacturers begin to show off what’s in store for the next year, at CES 2018. Personally, I’m more hyped about the 85-inch 8K TV, but that’s for another time. Samsung’s new range of 4K TVs is all set to come integrated with their in-house Bixby virtual assistant. Now, why a TV needs a virtual assistant is something that eludes me entirely, but the engineers at Samsung deemed it fit, so there’s probably a good reason it exists. Samsung also announced the release of their SmartThings application, which lets you sync up multiple smart appliances and offers easier sharing, connectivity, and an overall simplified way to control the television and sync with other devices. We can also expect a new universal guide the likes of Apple, Roku and TiVo which searches for content within apps and suggests new things you to watch. As promised earlier, Samsung intends to bring Bixby to all of their smart appliances. 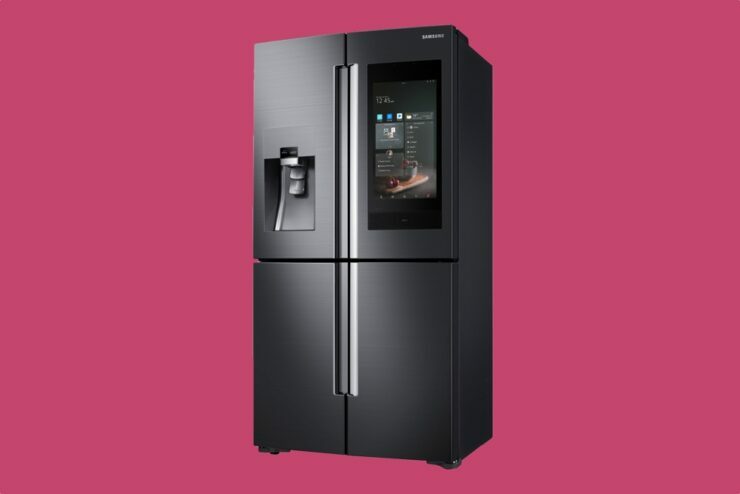 The latest addition to the list is the Family Hub 3.0 refrigerator, which will also join the long list of devices compatible with SmartThings. You can now control the temperature, lights and a lot more remotely. Additionally, the fridge comes with a set of AKG speakers that let you stream music from your phone or play it directly via WiFi. Moving on to features that are actually relevant to a refrigerator, you can also keep a tab on the expiry date of foods, customize recipes, add products to your shopping list and a whole lot more. We can expect a wider array of content thanks to Samsung’s partnerships with the likes of HomeAdvisor, Pinterest, Tasty and The Weather Company, to name a few. While no pricing has been specified yet, we can expect an update from Samsung shortly. Do share your thoughts with us regarding this news in the comments section below.